This book provides a highly original approach to the writings of the twentieth-century German philosopher Walter Benjamin by one of his most distinguished readers. 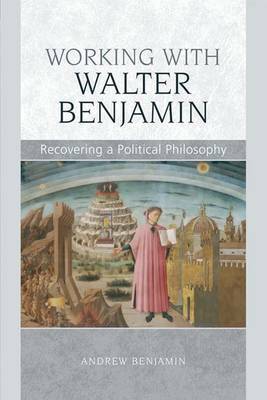 It develops the idea of "working with" Benjamin, seeking both to read his corpus and to put it to work - to show how a reading of Benjamin can open up issues that may not themselves be immediately at stake in his texts. The defining elements in Benjamin's writings that Andrew Benjamin isolates - history, experience, translation, technical reproducibility and politics - are put to work; that is, their utility is established in engaging the works of others. The question is how utility is understood. As Andrew Benjamin argues, utility involves demonstrating the different ways in which Benjamin is a central thinker within the project of understanding the nature of modernity. This is best achieved by noting connections and points of differentiation between his work and the writings of Adorno and Heidegger. However, the more demanding project is that 'working with' Benjamin necessitates deploying the implicit assumptions within his writings as well as demanding of his formulations more than is provided by their initial presentation. What is at stake is not the application of Benjamin's thought. Rather what counts is its use. Working with Benjamin engages with the themes central to Benjamin's work with deftness, daring and critical insight while at the same time situating those themes within current academic and cultural debates.